Apple announced a number of changes to their emoji set this week, including better representation of women, single-parent families, and a pride flag. 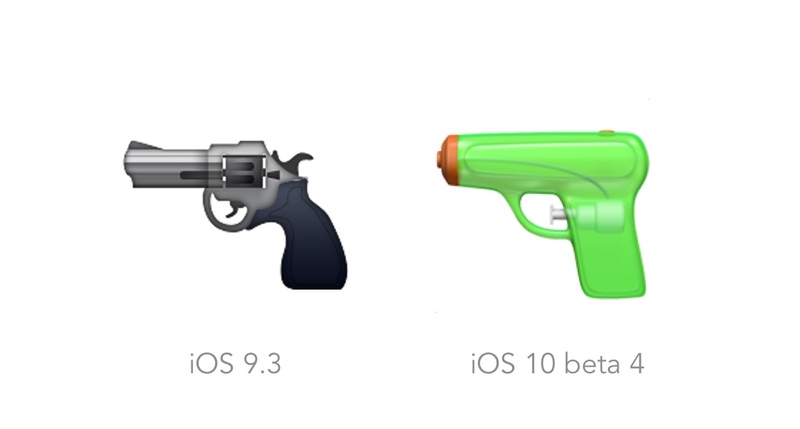 🔫 Pistol emoji has changed from a realistic-looking gun in iOS 9.3 to a bright green toy water gun in the iOS 10 beta. 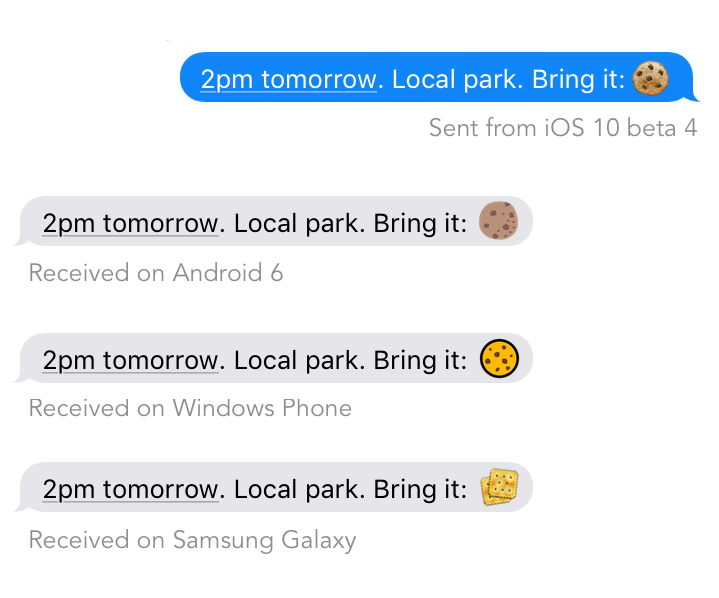 By comparison, if you tell people to bring a snack using the 🍪 cookie emoji, and Galaxy users bring you saltine crackers, that’s a shame, but nothing more. Apple: Don't change the pistol emoji. At least not today. Unicode does not depreciate emojis, but there is no requirement to show all approved emojis on the keyboard. The pistol emoji could be removed from the iOS emoji keyboard without causing any cross platform compatibility issues. For Apple: Regular users don't see the pistol on the iOS emoji keyboard any more. iOS 10 is still in beta, with the final release over a month away. It's not too late for Apple to change this, and in my opinion, they should. Update: No changes were made since the time of writing, and the pistol emoji shows as a water pistol in the final release of iOS 10.0. At the time of writing no other vendors have changed this image, though this could change in future.